The Gently 40&apos; Lausanne is the ultimate yacht for sailing the mountain lakes of southern Europe. 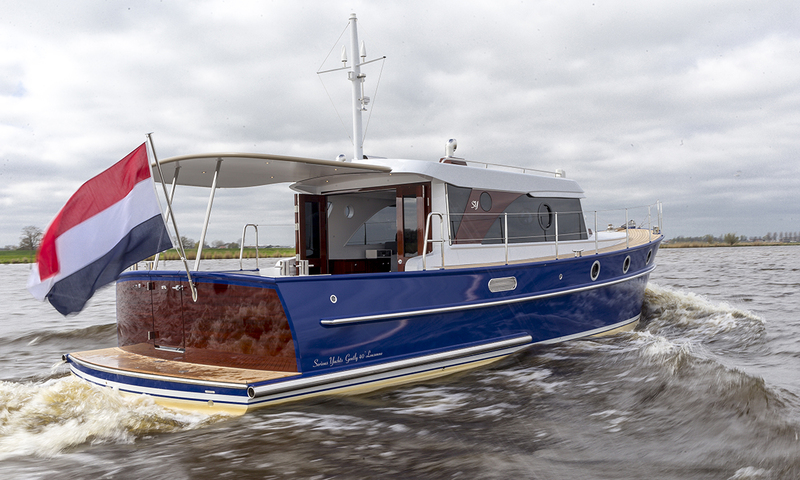 The yacht was specifically designed to moor at the region’s tight berths. 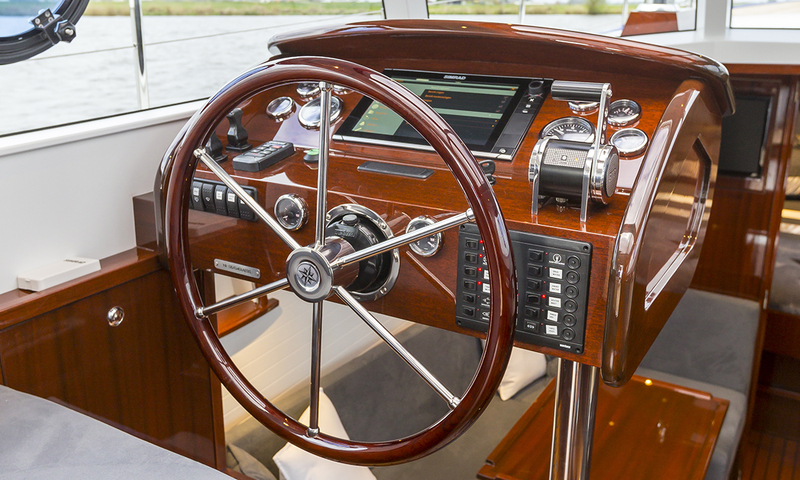 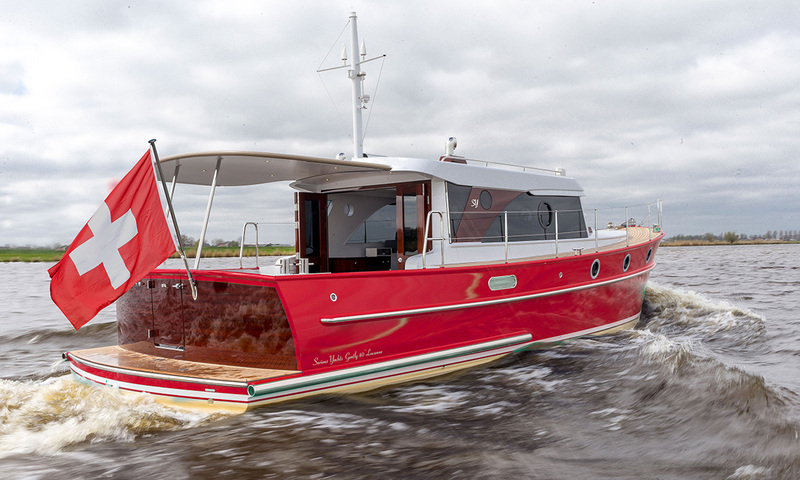 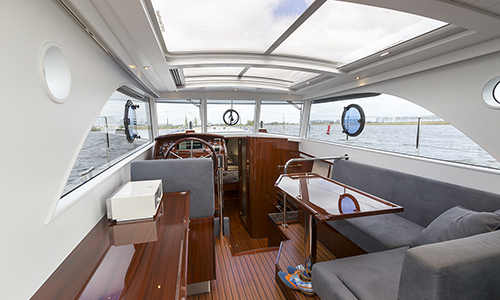 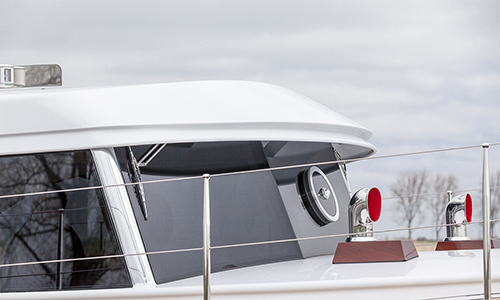 The 40-footer includes an open cockpit with large wooden doors that open up into the wheelhouse. 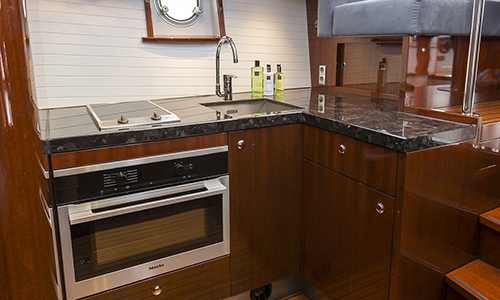 Closer to the bow, you’ll find the dinette on starboard and the galley on the port side. 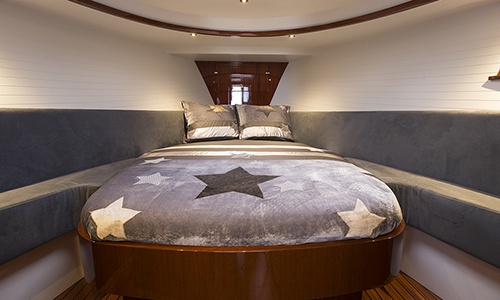 The bathroom and captain’s cabin with large, freestanding bed are situated in the bow of the ship. 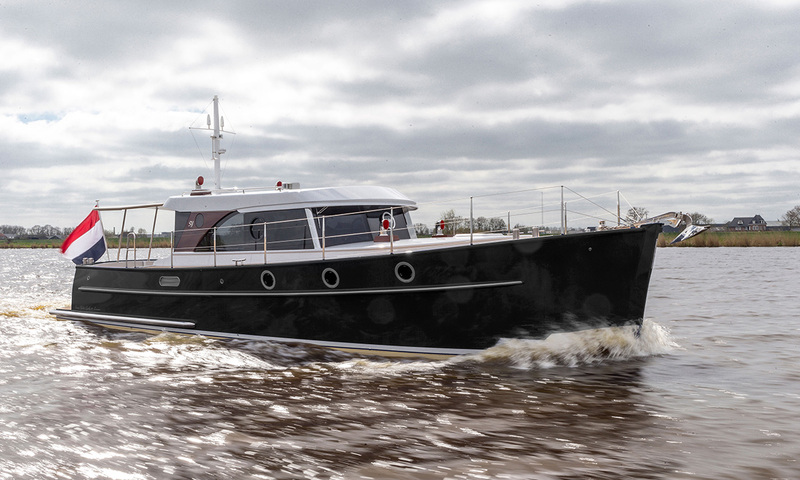 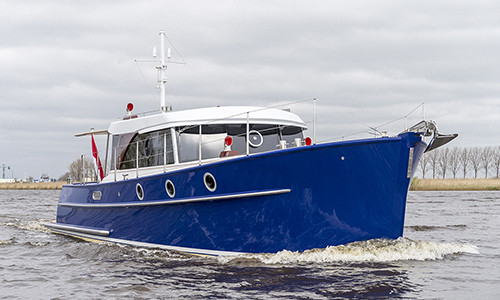 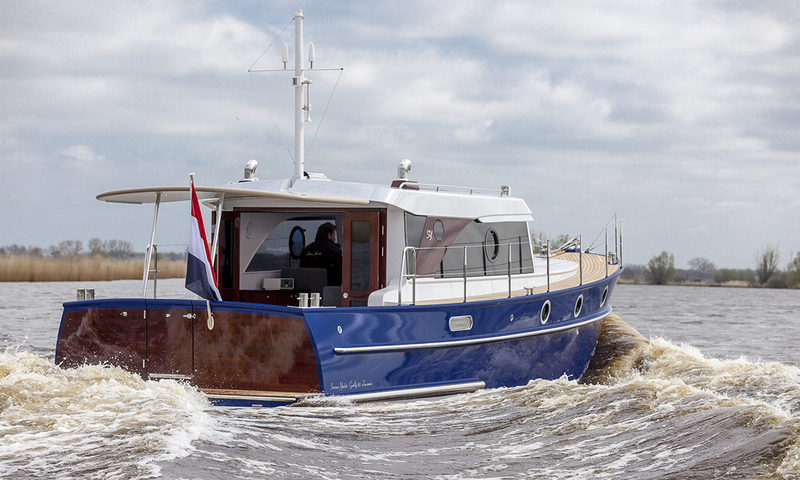 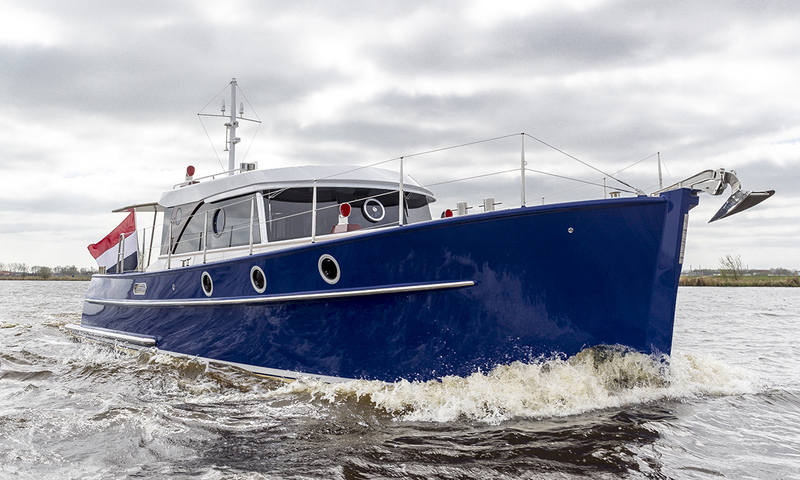 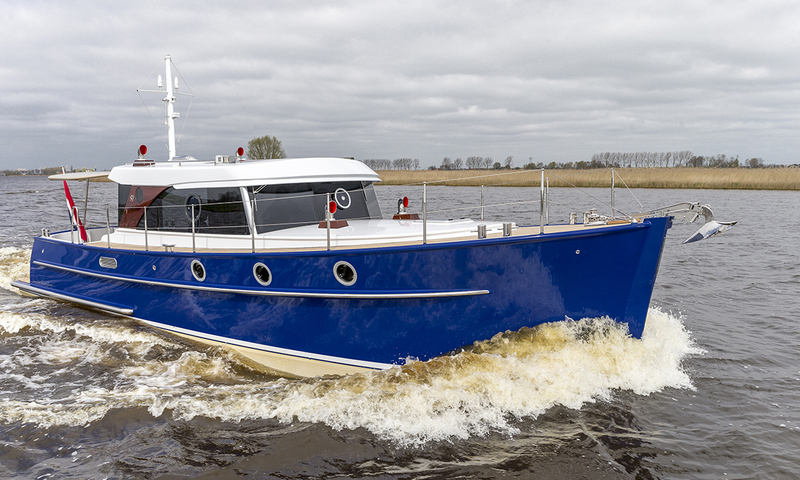 This 40-footer designed by Arnold de Ruyter combines the classic Gently lines with modern technology and a degree of finishing that one normally only finds in mega yachts. Length / Width / Draught 12,06 / 3,60 / 1,15 m.